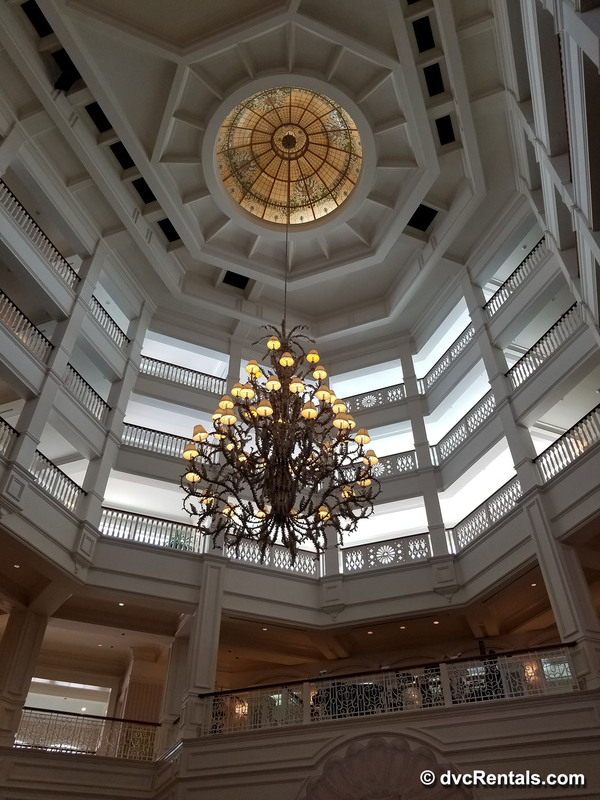 Picking up from my last blog (Choosing a Disney Vacation Club Resort to Visit, Part I), alphabetically the next Disney Vacation Club (DVC) Resort to discuss is the Villas at Disney’s Grand Floridian Resort & Spa. The Hotel section of this resort preceded the DVC resort by many years, and when DVC was added, it was located in a separate building a short distance from the hotel. There is a covered walkway connecting the two, which makes accessibility from one to the other very easy. 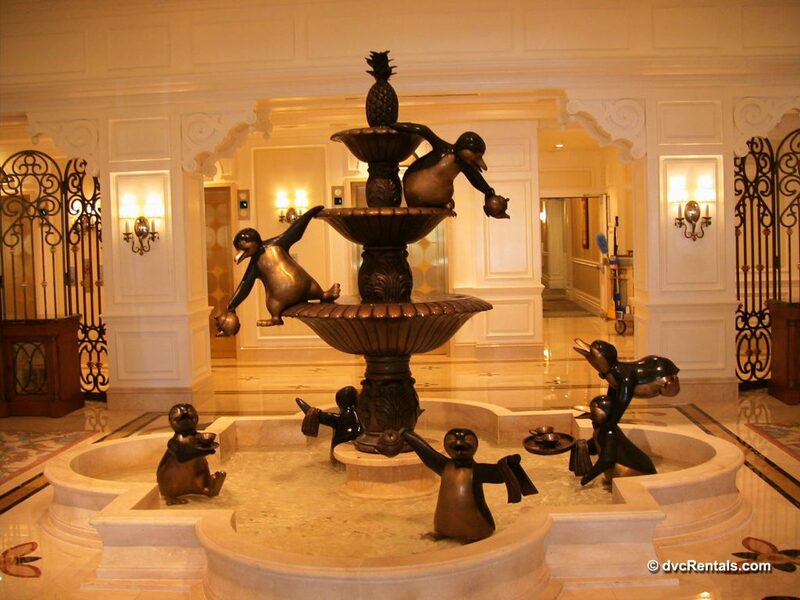 The DVC building is very nice, with a big open lobby, and a very cute penguin fountain in the center. The theming is in tune with the Grand Floridian hotel, Victorian luxury. There are cast members there to greet you and answer any questions you may have, and there is generally free ice water, but most of the activities can be found at the hotel portion of the resort. Restaurants abound at the Grand Floridian. From the fast food the Gasparilla Island Grill to the incredibly luxurious (and difficult to book!) fine dining at Victoria & Albert’s, there is something for everyone and every pocketbook at the Grand Floridian. 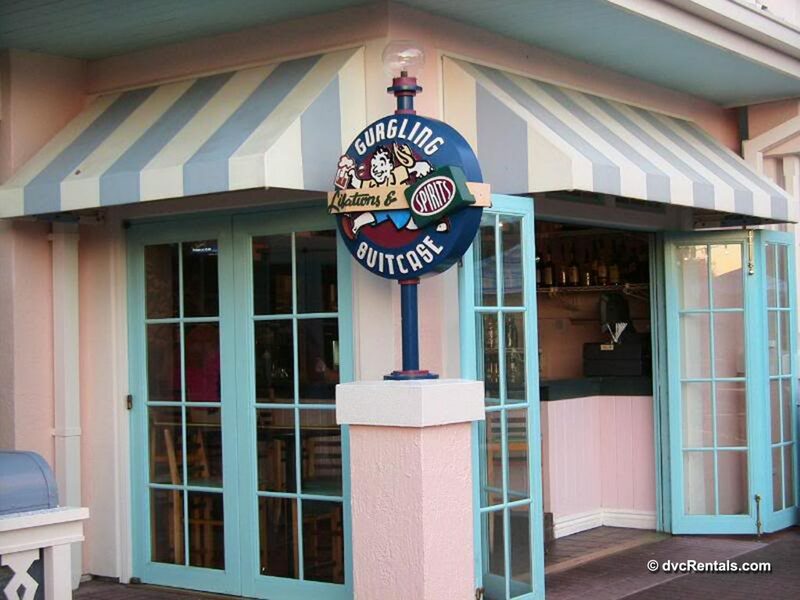 Other dining options include 3 excellent table service options, Citricos, Narcoossee’s (located on the Seven Seas Lagoon, many tables have great views) and the Grand Floridian Café. 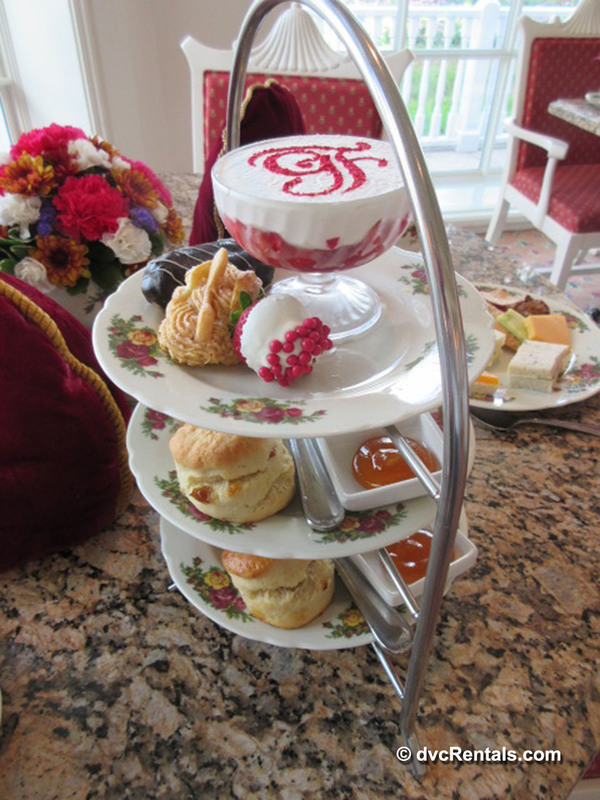 There are a few very special dining experiences at the Grand Floridian. There is an awesome Afternoon Tea located in the Garden View Tea Room. It’s a very elegant experience, yet still laid back and relaxing. Book this one early! There are a number of character meals at this location, found in the restaurant called 1900 Park Fare. All ages will find something to their liking, from a special tea for younger princesses to a full-blown character buffet breakfast or dinner. (Characters vary depending on which meal you choose, breakfast is mostly Alice in Wonderland, dinner you’ll find characters from Cinderella). 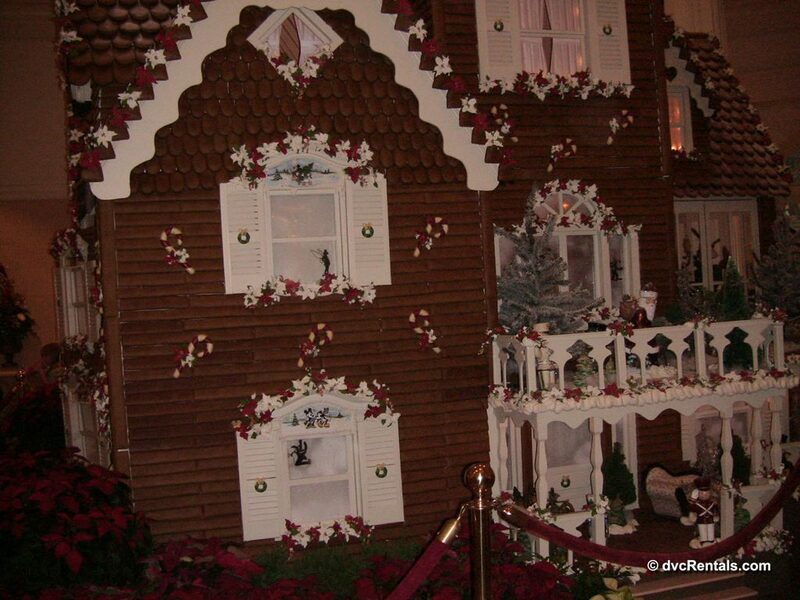 While you cannot eat it, if you visit during the holiday season you will find a HUGE gingerbread house in the main lobby. (They do sell gingerbread, just not the house LOL). Speaking of the lobby, it is gorgeous, complete with a very ornate “birdcage” see through elevator. Often there are musicians playing period music in the upper area of the lobby. Since the Grand Floridian is located on Seven Seas Lagoon, you will have many advantages here that you can opt to experience. You will have a great view of the Electrical Water Pageant, a nighttime parade that floats by every evening (check for times at the Front Desk). You can see the Magic Kingdom Fireworks from the beach area as well. And where there is water, there are boats! 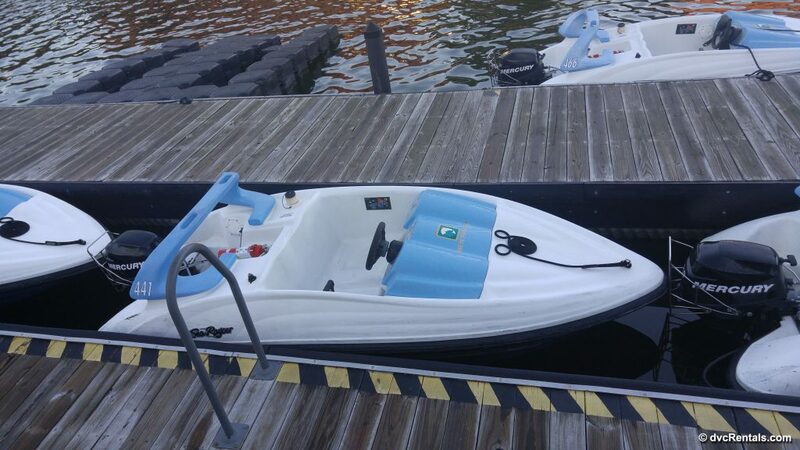 You can rent the small, speedy sea raycers or the larger and slower, but more relaxing (and much roomier) pontoon boats. 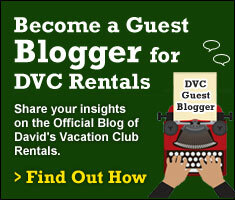 Ask about DVC or Annual Pass discounts if you qualify. For those who are seeking thrills for the whole family, inquire about Fireworks Cruises or the ultra-luxurious Grand 1 Yacht Cruise. If you’re going to the Magic Kingdom, the Grand Floridian is only one stop away by monorail. There is also a boat option, leaving at the back of the main resort, stopping at the Polynesian on the way to the Magic Kingdom. Grand Floridian is the first stop when leaving the Magic Kingdom. For all other parks or Disney Springs, a bus will get you there at no charge. If you are in a hurry or just prefer private transportation you can use Disney’s new Minnie Van service, Lyft, or a cab, all for a fee. 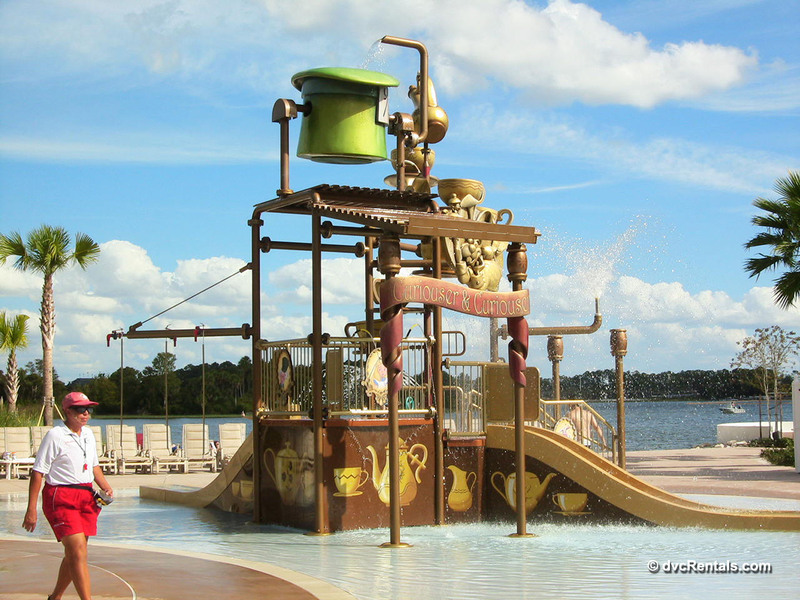 There are a number of very nice pools and jacuzzis at the Grand Floridian, and a really fun Alice in Wonderland themed water play area for kids. For a fee, you can rent a poolside cabana at this resort. There is an awesome Spa with many services offered (fee), again ask if you qualify, often there are discounts for DVC or Annual Pass. Adult drinks can be found at the pool bar, as well as the lounge inside the resort. A number of merchandise shops can also be found at the Grand Floridian. 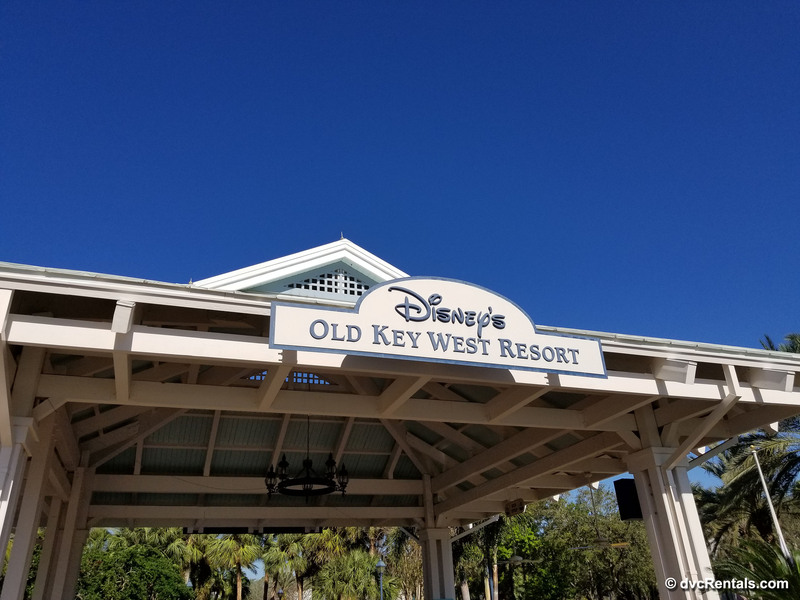 Moving on to our next DVC Resort, we come to the first Disney Vacation Club Resort ever, Disney’s Old Key West. Themed, as you can guess by the name, on Key West of long ago, the resort is very picturesque and spread out over a large area. Originally known as The Disney Vacation Club Resort, the name was changed once Disney added Disney’s Boardwalk Villas to the DVC family. For the curious, Disney’s Old Key West (known at the time as the Disney Vacation Club Resort) first opened its doors in 1991. This is definitely the place to be if you want to kick back, relax and get away from the hustle and bustle. 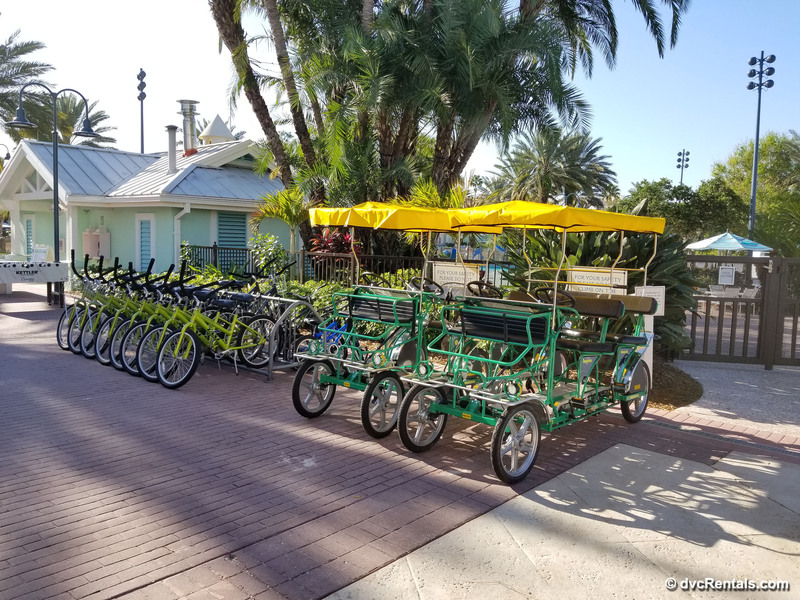 Old Key West is very laid back, and although there is plenty to do, it’s geared towards those looking for a mellow experience. 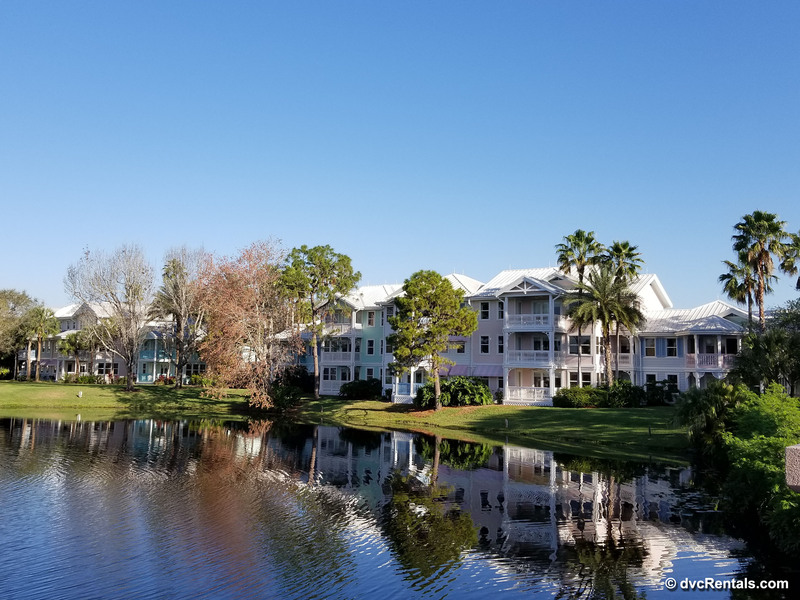 A noteworthy feature of this resort is the rooms are the largest of any of the DVC resorts, especially the one bedroom villas and bigger. They feel huge compared to the DVC resorts that came afterward. There is a very nice restaurant, Olivia’s, which while not fancy, has very good food at reasonable prices. Outside the resort, near the pool is a fast food option called Good’s Food to Go and not far from there is a lounge known as the Gurgling Suitcase. You will find a small store in the front of the resort, called Conch Flats. However size can be deceiving, they carry a lot of items, including DVC merchandise, other Disney clothing, bathing suits, a refrigerated and a freezer section with a decent selection of food to cook/eat in your room, and sundries you may have left at home accidentally. As the resort is so spread out, there are a number of quiet pools (with Jacuzzi spas), and a main pool (located at the Hospitality House, the main area where you check in) with a big slide and Jacuzzi. Other recreation options include: An exercise room; a Community Hall (with games and crafts, many free, some have a fee); Nightly campfire and movies; Standard and surrey bike rentals; Tennis, Volleyball and Basketball courts; Guided Fishing excursions (fee); two arcades (fee), Golf (fee), Jogging trails and three different playgrounds for the kiddies. Getting around the resort can be a little tricky without a car, as it is so large. There are a number of bus stops to get from one area to another. To travel to the parks the bus is the only free option here, but if you are headed to Disney Springs there is a very nice boat that takes you there via the waterway known as the Sassagoula River. The boat dock is located at the Hospitality House area of the resort. 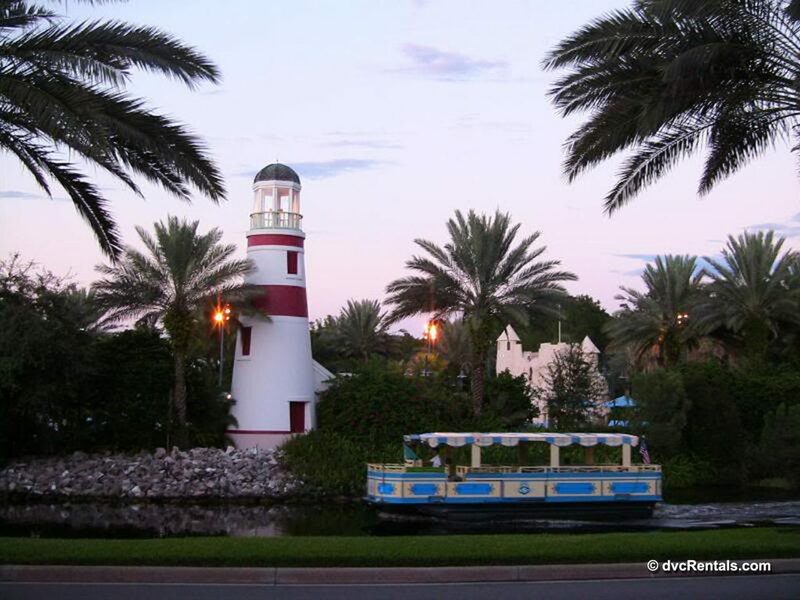 For those who enjoy a nice walk, there is a path that will lead you from Old Key West, past the Golf Course and Saratoga Springs resort, and winds up at Disney Springs. The path begins at the South Point area of the resort. Starting from there the walk to Disney Spring is about 20 minutes. It’s interesting to me that the two resorts in this blog are so different from one another. And you will find guests who swear by one or the other and wouldn’t stay anywhere else. 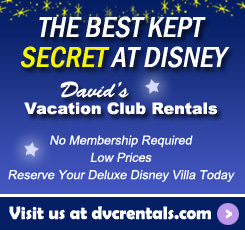 That’s the great thing about the Disney Vacation Club program, there is something for everyone. And if you like variety, you can try them all at one time or another! 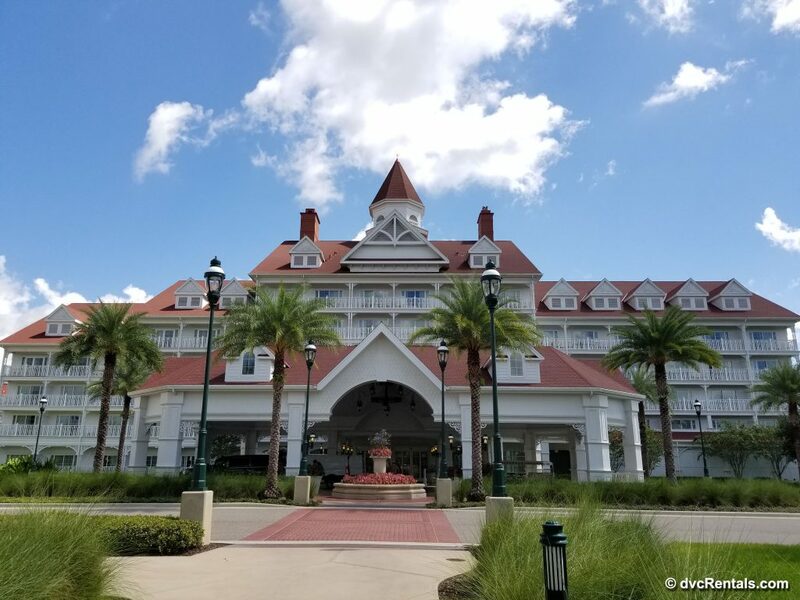 This is getting very long, so I am going to finish up with the last three (alphabetically) resorts, the Polynesian, Saratoga Springs and Wilderness Lodge with a part III to this blog. Until then, have a Magical Day!